Many people still joke the fact that China is a country of imitation, with the imitation technology is 99.9% matching real products. Not exaggerated to say that in China nothing is impossible. In this year 2017 with passionate fans of the type of Battle Royale cannot ignore PUBG, a hit make the global community warming up, but to say that “weakness” of PUBG is the game only on the PC and require the much more strong computers can play it smoothly. And in the face of the charm of PUBG, Chinese game publishers can not afford to miss this chance to make money. So think about it, a game based on the PUBG formula is exactly the same. Most of the time, it’s a free mobile game, with many players, it is a chance to experience more than to invest some more money to own PUBG. There are also two big names in the lead in the game “little bit similar” PUBG must mention Tencent and Netease. Most recently Tencent released official news that they were developing a new PUBG title game, the Chinese version of Glorious Mission, 光荣 使命. 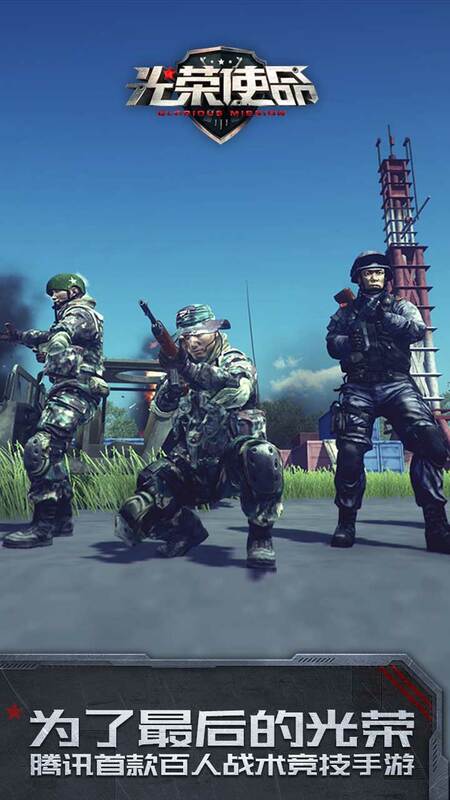 The English name of this game is identical to an online FPS game of Giant Interactive since 2011, so many people will be confused and claim that Glorious Mission Online is on the mobile platform as many games still do. 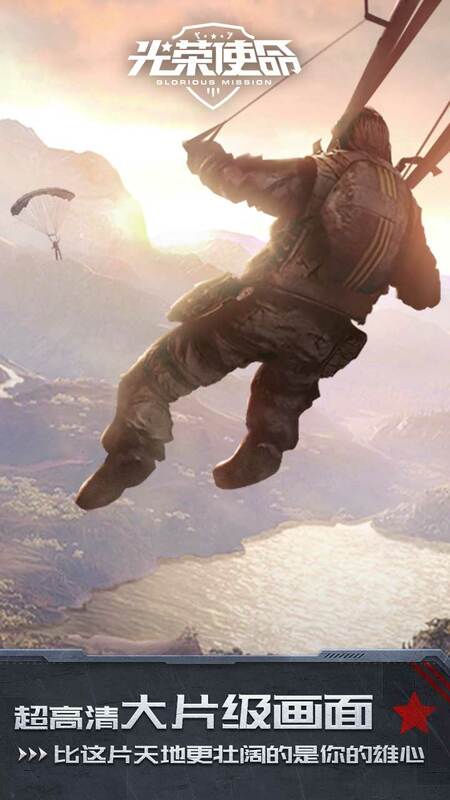 From the first images in the trailer, you will feel a bit confused, with Glorious Mission everything in PUBG has been put in and so familiar to the “paratroopers”. There is probably no need to re-introduce the game’s gameplay, the number of combat players will be up to 100 people with a 64 km2 map and many weapons are really cool. The game is in the preparation phase Alpha test and no official information about the opening date, the latest news about the game will be the fastest ModDroid update. Like many other survival games on the market today, Glorious Mission has a pretty old style. There are not many special points. What brings the freshest feeling to the players is the system of characters and weapons are completely refreshed. The characters in this game have a realistic design, feeling like the characters in real life. This is considered an idea of eating style CS: GO. Also, the amount of weapons in the game is significantly enhanced, players will need to get acquainted for a long time to be able to feature fully. With an extensive map up to 8×8, the game will bring a tough arena to the series of improvements. Players will have more hiding places, more homes. Convenient for finding weapons. As I said above, the game has a great 3D graphics. 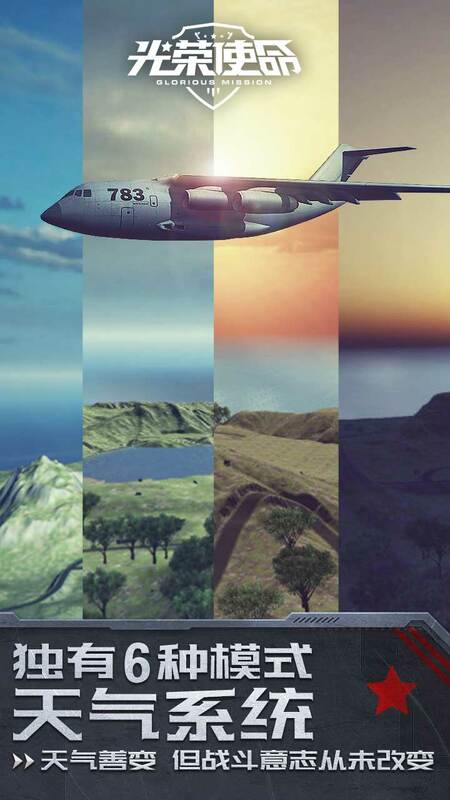 This is a survival game with the highest quality graphics on mobile. 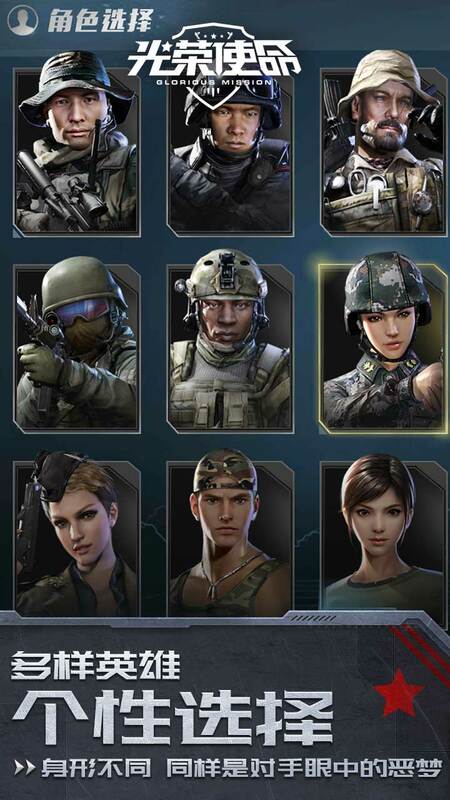 The main reason that the game has such good graphics quality is that Tencent has learned a lot from the previous games. The sound in the game is not a big hit but players can be completely assured of quality. You will find something quite new, completely different from the survival game that you have participated. There are not a lot of highlights, no big players like PUBG Mobile, but try this game if you want to discover a whole new story. Currently, the game is an open trial version for players in China. The international version of the game will be released in a short time.